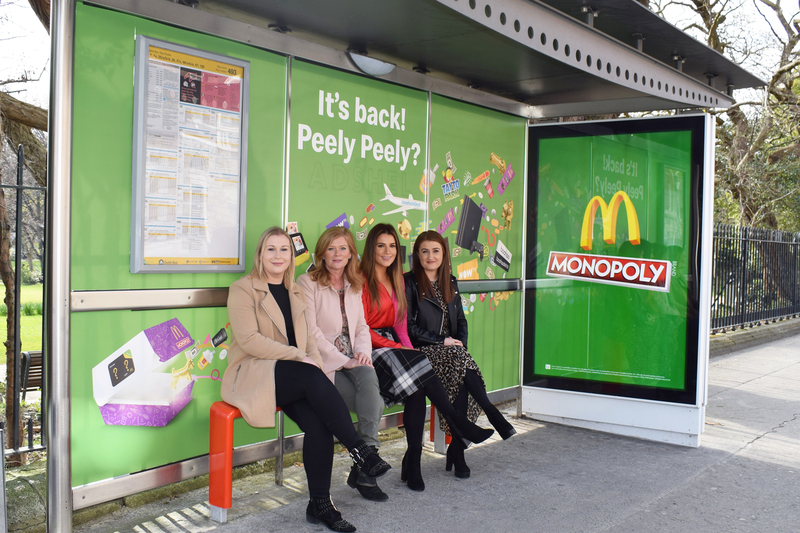 The hugely popular MONOPOLY at McDonald’s promotion is back. 2019 marks the fourth year of MONOPOLY at McDonald’s and this year McDonald’s has over 2 million prizes available to win, including €10,000 cash prizes, €5,000 cash prizes, holiday vouchers, games consoles, food and drink prizes, and much more. Changes to the promotion this year include the removal of a ‘go large’ incentive, whilst increasing the number of stickers provided for a medium Extra Value Meal, to ensure customers receive the same opportunity to win regardless of their order. In addition, customers will have even more choice within the instant win food prizes with the inclusion of carrot bags and sides such as salads and fruit bags. 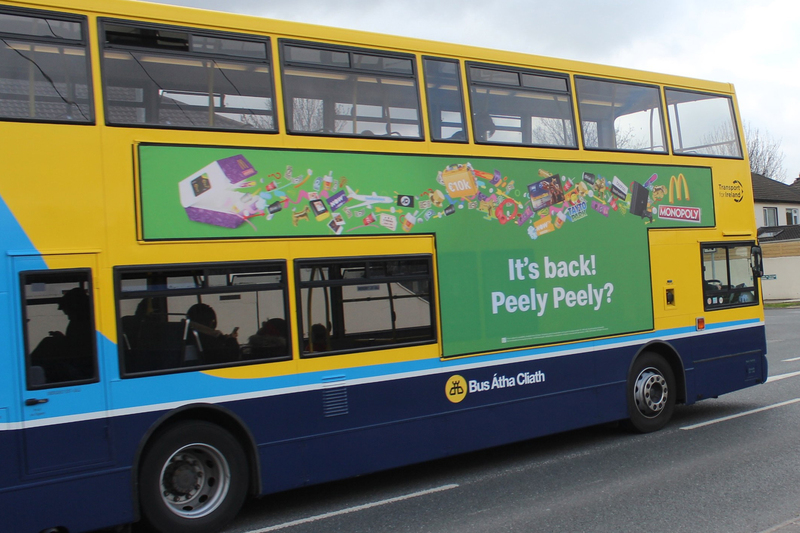 A combination of Out of Home formats delivers a mass awareness-building campaign across the country with eye catching creative appearing on Large Format, 6 Sheet, Transport and Digital OOH formats. These are complemented by five bus shelter wraps in key high-density traffic and pedestrian locations in Dublin. The planning process involved optimised site selection driven by proximity targeting using our Pinpoint mapping system fused together with Locomizer data which heat mapped the bespoke QSR affinity group using anonymised smartphone app data. The campaign was planned and placed by Mediaworks and Source out of home, part of PML Group. Creative by Leo Burnett.